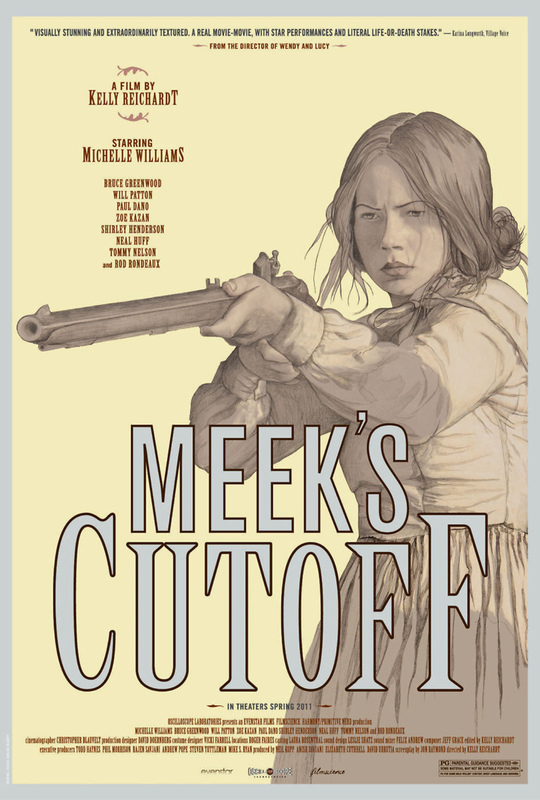 Meek's Cutoff DVD and Blu-ray release date was set for September 13, 2011. In the 1800s American west, three families have hired guide Stephen Meek to take them across the treacherous Oregon desert so they can build a new life out west. As days pass, and the hot dessert drains their energy and water supply, the settlers begin to think Meek has gotten them all lost. Meek disputes this. The men of the group cannot seem to resolve how to handle the situation. The families must find more food and water or face certain death. The settlers capture a Native American man that knows the desert. The desperate families insist that their prisoner guide them to water, but he may be no more trustworthy than Meek. Both men may be leading the families into an unspeakable death trap.